An alarming 88% of Americans cite hostility, desk-rage, and workplace incivility as top concerns. 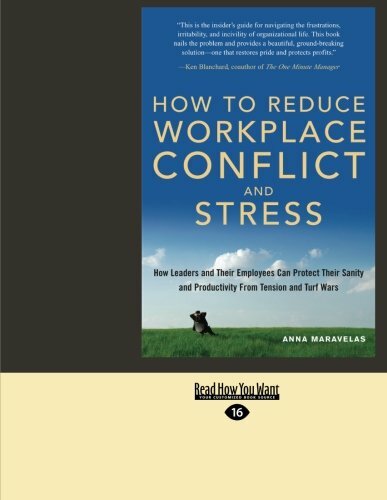 How to Reduce Workplace Conflict and Stress will help executives, supervisors, and manager sand the people that work for them protect pride, profit, and productivity from these disabling emotions and behaviors. How to Reduce Workplace Conflict and Stress shows you how to protect productivity and maintain unity between leaders and employees, even during periods of uncertainty and rapid change.